Are you attached to your cell phone? I totally am. I’m hardly ever without it, but for me, it’s a business tool. I have to be able to check in on things like this blog, my social media networks and have a way for my Pinterest management clients to reach me if they need. You might be addicted to yours too if you’re paying a ton for your bill every month. We spent forever between three major cell providers, but eventually it got to a point where I simply didn’t want to pay $100 (or more) for a phone. Who would, right? Luckily, the days of spending a boat load on your cell are gone and cutting your cell phone bill has never been easier. Like I said, I love my phone and because of that, I’m not one to pay for service that is spotty or flat out doesn’t work in some areas. My family lives a 27 hour drive away and we have friends that live in the “boonies” so I need a phone that has great service in pretty much all areas in case we travel to visit with them. Because of that, I’ve had to learn very quickly how to save money on my cell bill so that I don’t end up broke. Saving money on your bills, especially saving money on your cell phone bill can seem like a lost cause really. After all, you don’t have any control over how much the cell phone companies charge, do you? In reality, you have quite a bit of control in the situation. Cutting back on the amount of data you use, utilizing WiFi: Why are you still paying for 5 GB of data, when you can simply turn on the WiFi? It’s understandable to use data if you do not have WiFi, but you can really save yourself a few bucks here. Knowing how much data your family really needs is key. Pay only for that amount and then set your phone to connect to Wi-Fi whenever you’re at home, work or any other place you frequent. Negotiate the price with your provider: A lot of people don’t even realize that this is an option, but in a lot of cases, it is! Negotiate the price with your provider. If you’re at the end of your contract, but want to stay with your current company, ask them what they will do to keep you as a customer. You never know and you may just save yourself money each month! Don’t buy your phone from a provider: One thing that kind of gets cell phone owners is the cost of cell phones. You may end up paying hundreds of dollars more than you need to just for a phone that you love if you purchase it from your provider. Cell providers are notorious for offering “deals” where you get the phone “free” but are locked into a contract that you can’t get out of without a hefty fee. By the time you make it through the contract, you’ve paid more than the phone would have cost by itself on top of a hefty cell phone bill. To keep this cost low, consider buying your phone off of eBay or Amazon. Doing it this way can save you big bucks on a new phone and you have the option of saving even more by buying used. Remember, it’s just a phone, it’s not your wardrobe. Switching to a pre-paid phone: In today’s cell phone market, you are really missing out if you do not have a pre-paid phone and having a pre-paid cell phone is one of the single best ways to lower your cell phone bill. Do you know why? Because of the sheer amount of money that a pre-paid phone can save you. Where most contract cell companies will run you $100/mo or more, a pre-paid cell phone will run you around $50/mo on average. There are a couple of really great cell companies that don’t charge nearly that much. A lot of pre-paid customers love Straight Talk because they offer unlimited plans for around $45, but if you’re looking for something even cheaper? Republic Wireless is a fantastic option. They use wi-fi calling and the average monthly bill for them is around $15.00/mo. The service is pretty great too! See? 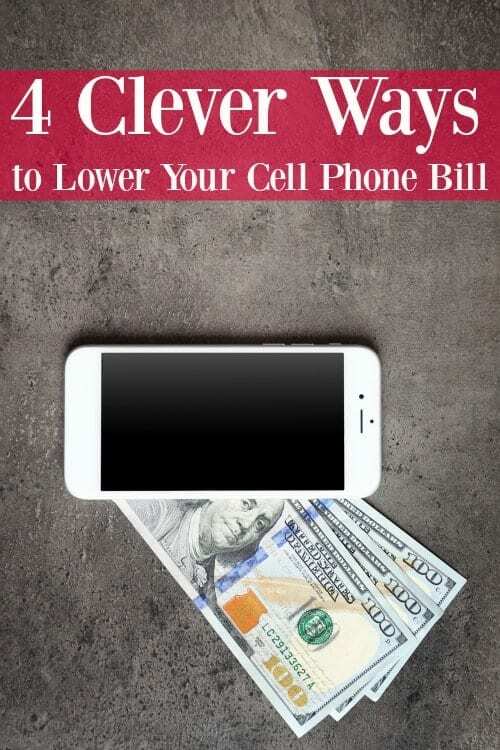 Lowering your cell phone bill can be easier than you might think. For some people those, the ones who simply don’t want to spend the time trying to cut down the cost of their cell phone bill, it might as well be climbing Mt. Everest. If you’re one of those people, remember that time is money and by taking the time to really save on your cell bill, you’re saving yourself more money than you can probably imagine. Haha why couldn’t I have found your post sooner. Im always struggling with keeping my phone bill down. Thanks for the tips, I really appreciate it.